Most football clubs in the world strive to promote as many homegrown or local players as they can to their first team. Homegrowns are, after all, inclined to be significantly cheaper, more loyal, and more familiar with the clubs surroundings and football culture than an imported player. Yet when push comes to shove that wouldn’t be plausible, would it? An entire team made up solely of homegrown players, of players from that football club’s region. Surely not. Now, try to stay with me as I make a sudden detour to Basque County in Northern Spain. Here lives one of only three teams to never have been relegated from the Spanish top flight, in it’s nearly 92 year history. The first two are world football giants FC Barcelona and Real Madrid C.F.. The third? Athletic Bilbao. One might presume that Athletic’s record of consistency is their greatest triumph to boast. It is, after all, an impressive feat. Of Europe’s top five leagues, excluding the Spanish trio above, only Internazionale (Inter Milan) have never been relegated from their nation’s top flight. Yet it is arguably not, for their success and achievements are made all the more remarkable when you learn of their clubs “live and die by” tradition: only, in their 121 year old history, to field players from the clubs native Basque County. Finances would indicate it’s holding them back. Athletic are currently sitting on €90 million of transfer revenue following the departures of Ander Herrera and Kepa Arrizabalaga, but nowhere to spend it. However I’d argue that it’s worth it. 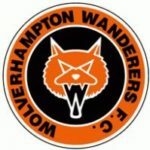 It’s their club identity. And identity and tradition are things that can be hard to come by in the increasingly money-centric football universe. It’s not a foreign concept. Mexican giants Chivas Guadalajara have stuck to their club tradition of playing only Mexican-players. They too haven’t suﬀered for it: Chivas has never been relegated, and as of a 2016 study, garnered 44.2% of Mexican fans, to be the most popular club in Liga MX. They also sold more jerseys than any team in all of the Americas. A move away from buying talent and instead investing in development has worked remarkably well for the clubs mentioned above. Athletic has produced the notable names of Javi Martinez and Fernando Llorente, alongside Ander Herrera and Kepa Arrizabalaga in recent years. Chivas too turn the likes of Javier Hernandez, Carlos Vela, Marco Fabian, and Carlos Salcido from wide-eyed little kids into world class footballers. So why does this matter? Because British Columbia is rich in football talent. While we often don’t give much credit to the Vancouver Whitecaps Residency program, it has kickstarted, at least the start of, many fairly successful football careers. And those players are still around. There’s currently a solid core of veteran players hailing from BC who could be persuaded to return to the island, and plenty of young players in their early 20s determined to prove themselves. It’s always been about development. It’s what’s held Canada back from being a top football nation. Iceland has half the population of Vancouver Island alone, and they went to a World Cup. For a long time, young British Columbians haven’t had anywhere to go, whether that’s after youth or college soccer. I say this with regret, but the Vancouver Whitecaps won’t ever be the destination for many of them. MLS is growing too fast. Pacific FC can be that destination. As many CPL teams struggle to formulate their identity, Pacific FC can broadcast theirs loud and clear. A club for British Columbians: the pro players, the fans, and the next generation of little kids waiting to be inspired by the sport. I zero in on Pacific FC because they’re the only CPL club who’ve yet to sign any internationals, in fact all their players have come from BC. Not straying away from that concept would make Pacific FC’s vision not just loud and clear, but also remarkably viable. The Canadian Premier League’s salary cap likely won’t be higher than 1.5 million, if that, in it’s inaugural season. Creating an all BC roster would keep Pacific FC well inside the cap, not force them to stretch themselves financially as a smaller market, but still produce a clear and ambitious vision to their fans and market. 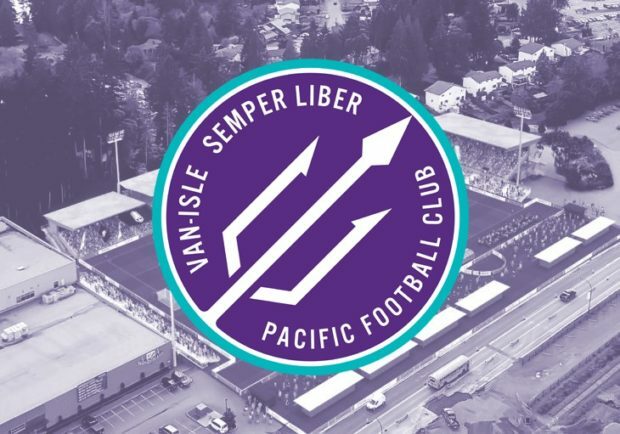 Barring the expenses of international signings, Pacific FC would theoretically have the finances to reinforce their roster with the best talent British Columbia has on oﬀer. The depth chart for BC talent is better than you’d think. As things stand they’d have a top CPL roster. Callum Irving, Adam Straith, Ben McKendry, and Ben Fisk would be key pieces to add. Furthermore while many CPL teams will struggle for cohesion, for familiarity, for chemistry in their team, Pacific wouldn’t suﬀer that problem. Most of these guys have played together in Whitecaps academy teams, or grew up in the same youth soccer system. Ultimately if Rob Friend and Josh Simpson are serious about their dream, the dream “to take a local player, and to develop that player to the Canadian National Team” (0:38, Simpson) or the faith in the island and province as “a hotbed for players, also a hotbed for fans… we need the local kid to dream about playing for his local club” (0:58, Friend) then they should make a statement. Pacific FC have an opportunity. Make that promise, validate the dream of every kid in the youth system of BC Soccer. Tell the pros to keep playing because there’s an end goal in sight. Expand the development infrastructure and change the way players are developed in British Columbia. So far they’ve only signed BC players. They’ve advertised local talent. I say, take it one step further. Make a statement. Rob Friend, Josh Simpson, and everyone at Pacific FC, I have some unsolicited advice for you. Go all in on BC. The down side is that other CPL teams, and Canadian MLS teams, are also after those players.